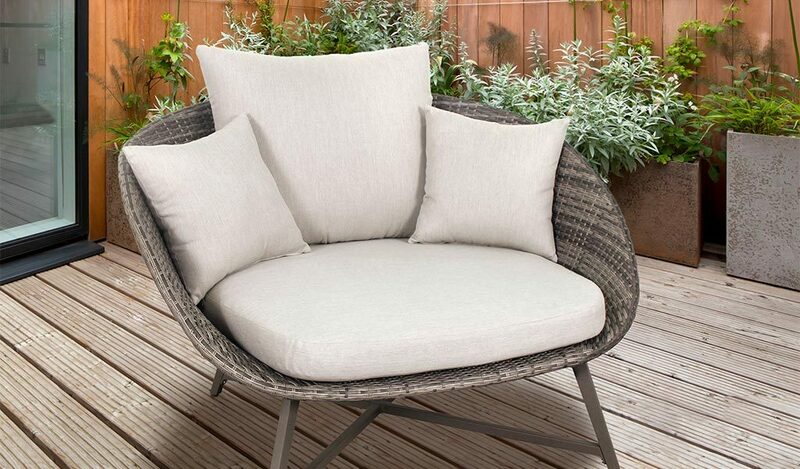 The LaMode Comfort Chair is a modern snuggle chair for the garden or conservatory. 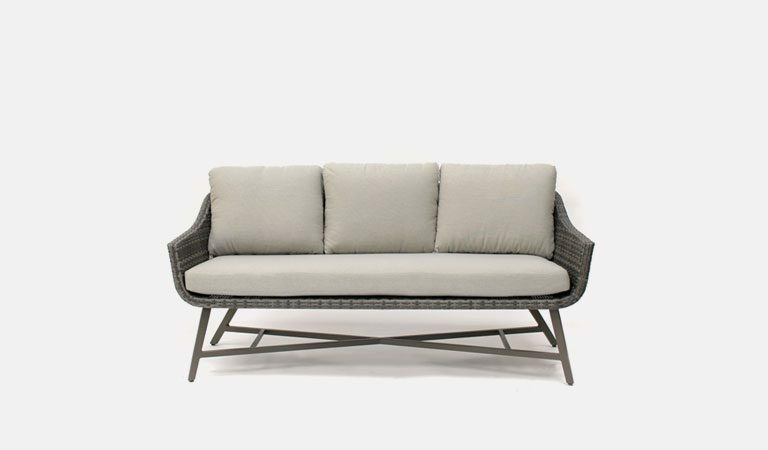 The wicker garden sofa is big enough for two to cuddle on or perfect for one to put their feet up and relax with a book. Escape the world in the bucket shaped design and soft, large seat cushion. 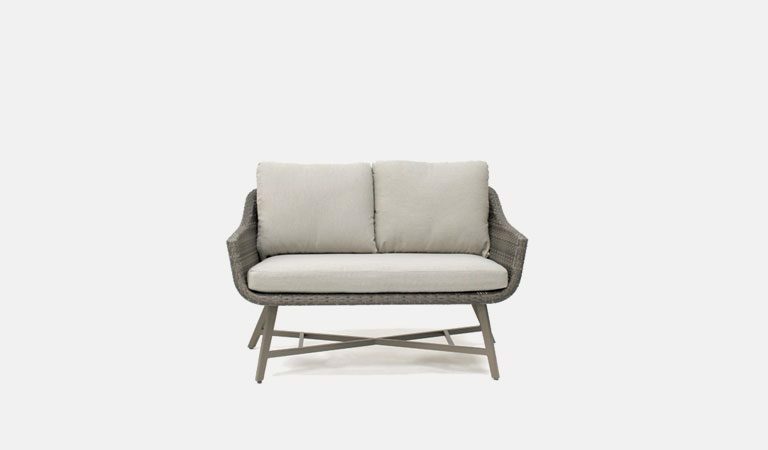 Curl up on our modern, wicker garden and conservatory sofa and watch the summer go by. The LaMode Comfort Chair is the perfect outdoor sofa for lounging with a loved one or alone with a cup of tea. 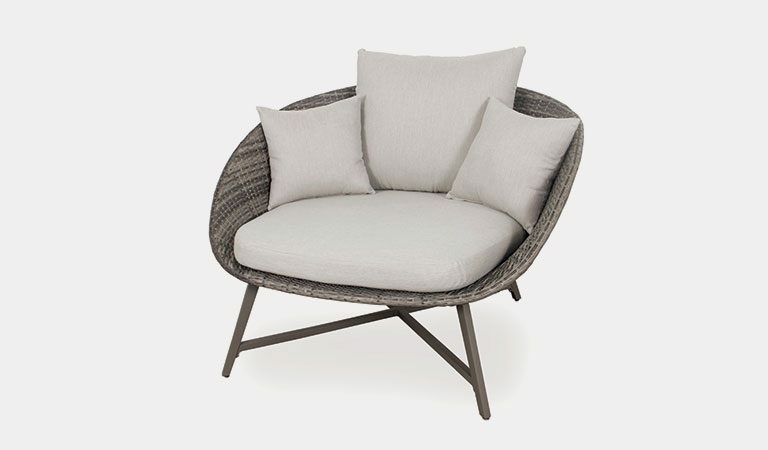 The synthetic wicker is handwoven onto an aluminium frame. The frame is weatherproof and rustproof, lightweight yet robust. The LaMode Comfort Chair includes back and side cushions in stone. 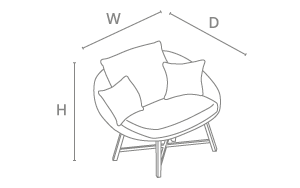 The bucket shape seat allows you to sink into the cushions and snuggle into the chair. The LaMode range is popular because of the mix of modern styles with traditional materials. Our garden Comfort Chair matches the LaMode dining set, LaMode lounge sofas and the LaMode Corner set. Sit inside a conservatory or on a patio on our elegant, luxurious garden furniture sofa and relax. 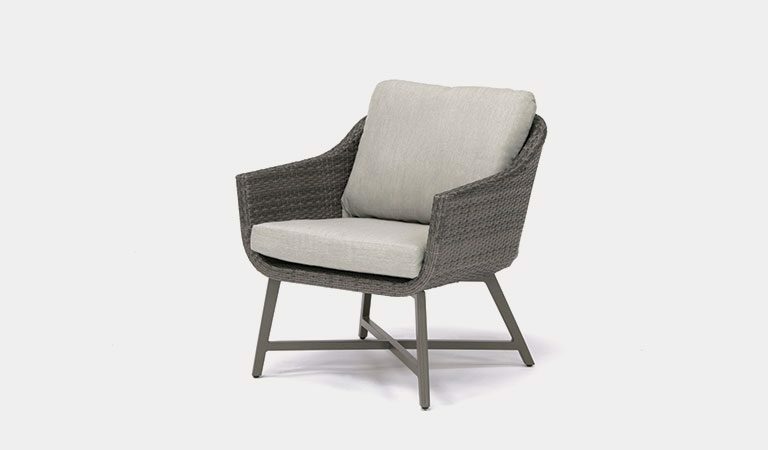 Material: 6mm flat synthetic wicker. Includes seat, back and side cushions. 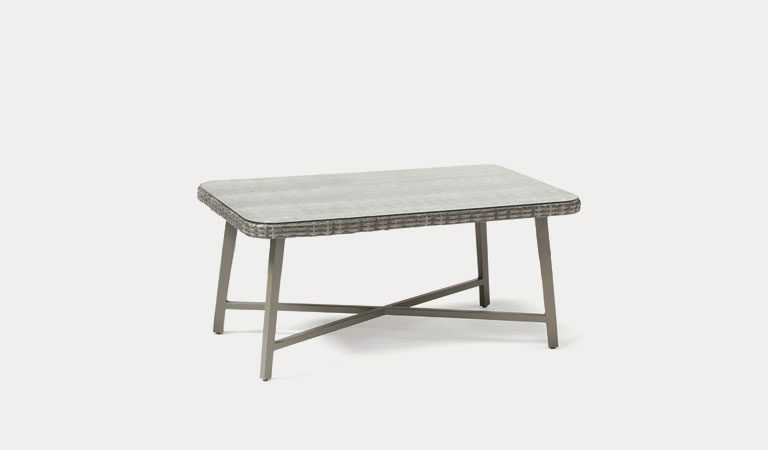 Designed for the outdoors all year round (excluding cushions). Stain resistant cushions with shower resistance – we advise taking cushions indoors when not in use. Equally suitable for indoor or outdoor use. Extremely comfortable bucket design sofa. 3-Years warranty (terms & conditions apply). LaMode lounge sets also available. 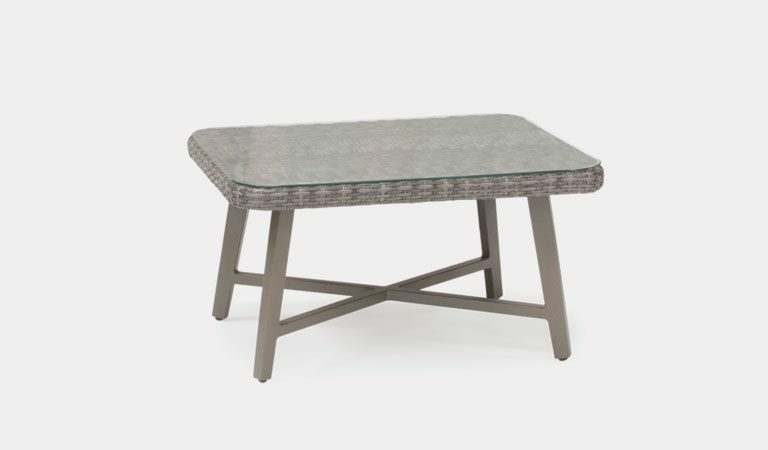 Hand woven wicker – synthetic and weatherproof – combined with a durable aluminium frame. Measurements are approximate. Please allow 10cm. The 3 YEAR wicker warranty covers manufacturing faults and is for domestic use only. Terms & conditions apply. No warranty claims can be accepted without a valid proof of purchase. Watch our videos for tips on how to look after your furniture. This is part of a mix and match range of garden furniture. Many of our products are versatile. Make your perfect set combination or simply add co-ordinating accessories.